Cannabis plant. 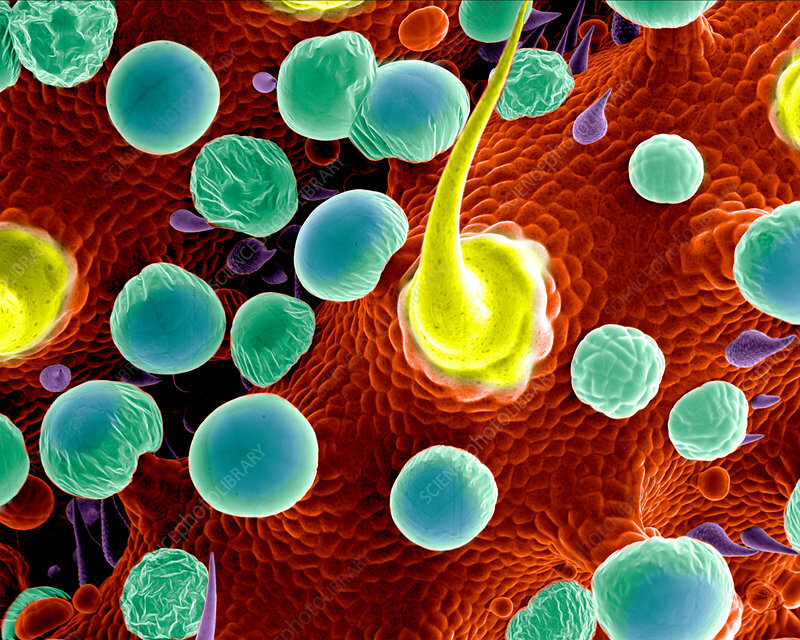 Coloured scanning electron micrograph (SEM) of the surface of a cannabis (Cannabis sativa) plant bud. Glandular cells called trichomes are also present. These are capitate trichomes that have stalks. These trichomes secrete a resin containing tetrahydrocannabinol (THC), the active component of cannabis when used as a drug. Magnification is 180x when printed 10 cm wide.